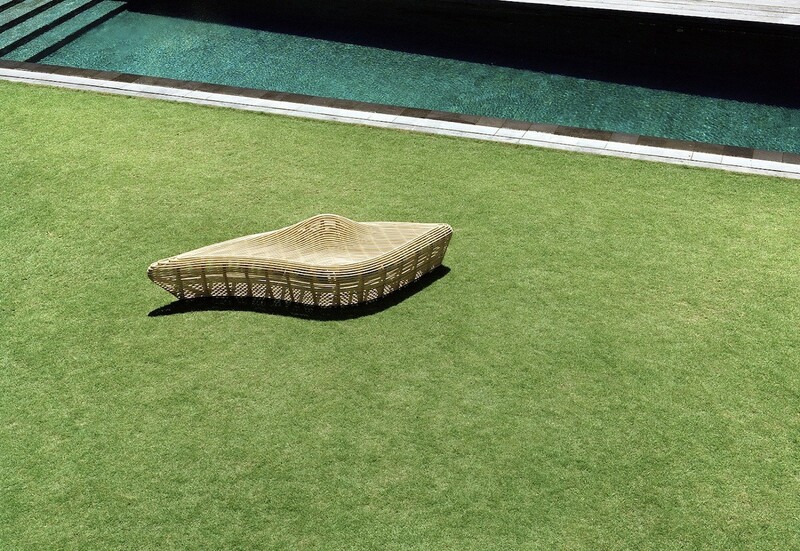 An elegant rattan sofa-bench designed by 34-year-old Indonesian-born product designer Alvin Tjitrowirjo is among the products showcased at the Tokyo-based Yamakawa Rattan booth at Hall 7 of giant interior design trade show Maison&Objet, which runs until Tuesday. Exhibiting for the first time at Maison&Objet, the 1952-established Japanese brand, which has specialized in high-quality design-oriented rattan furniture for over 60 years, presents several products from Japanese designers. Alvin, the sole Indonesian designer on the team, has a new version of “Linger”, which boasts a contemporary structure consisting of two intertwined parts resembling a boat and raised wave. Alvin, who himself had participated in Maison&Objet in September 2017 and is set to exhibit again in September this year, has been collaborating with Yamakawa since 2009, and until now remains the only Indonesian designer working with the brand, which uses rattan from the rainforests of Kalimantan, Sulawesi and Sumatra and has manufactured the material in its two factories in Cirebon, West Java since 1990s. As it is a fast-growing plant and will grow again if cut the right way, rattan also serves as a sustainable and ecofriendly option. “As long as there are rain forests, there’s rattan, which is a win-win situation for the ecology. It’s also light, can bend in many forms and leaves no waste as all parts of it are used. It’s also processed without any machines since all parts are basically homemade, so it’s a very low carbon-footprint furniture,” said Lababedi. Alvin, who started his own brand in 2006, also shares a similar passion concerning rattan, although he also works with other materials like wood, bamboo, metal and synthetics.